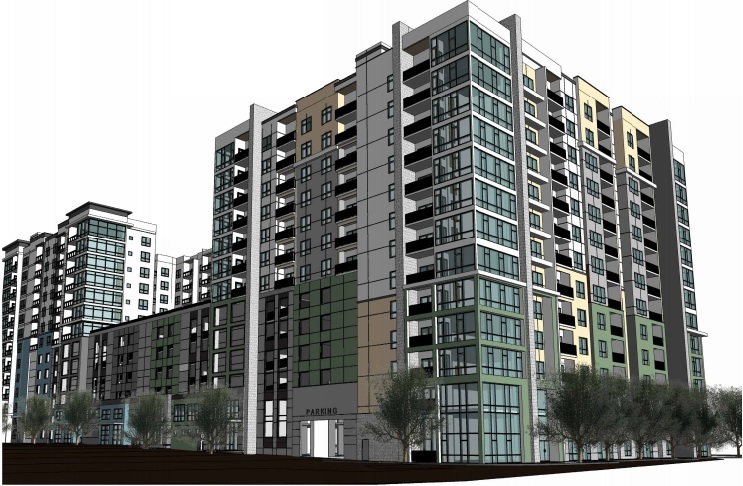 Developer rendering of 520 Church Street proposal. 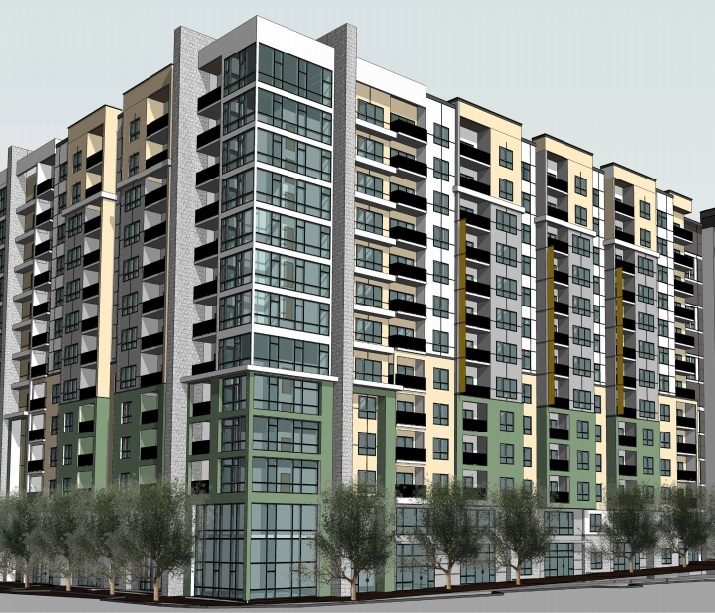 The Orlando Municipal Planning Board has been busy approving development proposals for mixed-use and high-rise buildings around downtown, including approval of two somewhat controversial proposals near Lake Eola last week. 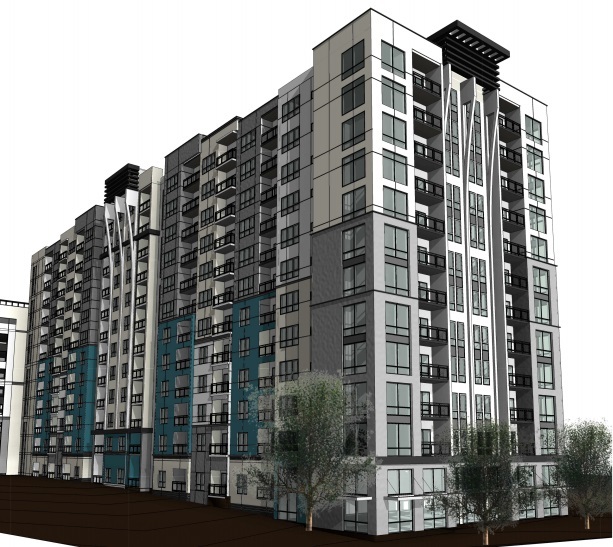 Next month, developers will present new plans for additional developments just south of Lake Eola. 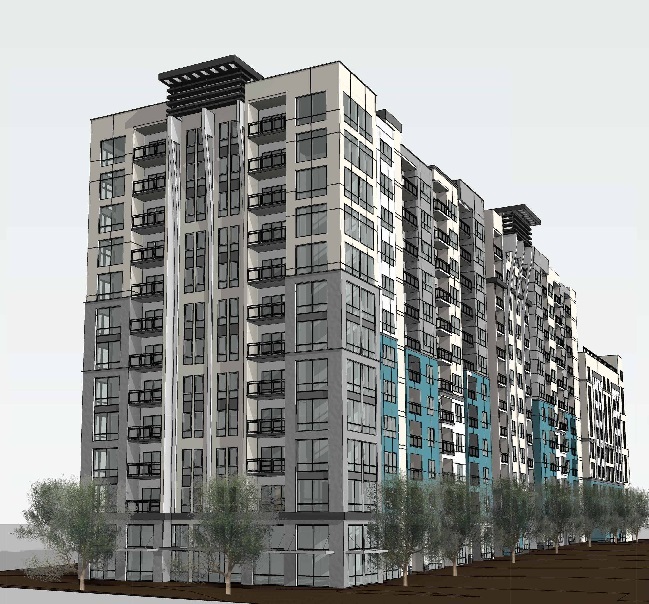 On August 18th, the MPB will hold a public hearing about two more twelve-story buildings totaling 586 multi-family units, more than 5,000 square feet of office space and another 18,000 square feet of commercial space at 520 Church Street, according to records filed with the Municipal Planning Board. 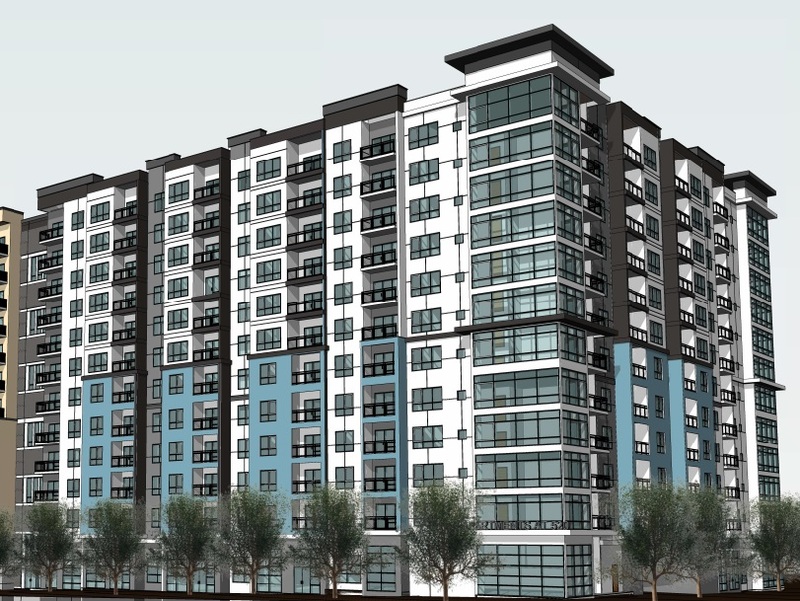 The South Eola neighborhood site, located just south of the Abbey, was previously known as the Thornton Commons project which called for residential condominiums. Now, the plans have changed to mixed-used mid-rise buildings and calls for multiple phases of construction. 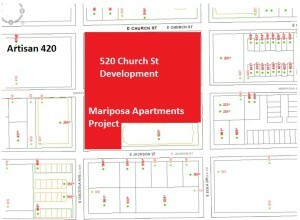 Developers are hoping to begin construction on the updated development plans for 520 Church Street and Mariposa Apartments in April 2016, shortly after the Artisan 420 project opens. Artisan 420 is a 9-story mixed-use mid-rise building with 289 apartments, 10 live/work/retail studios, 10,000 square feet of retail space and a three-story parking garage with 448 spaces. 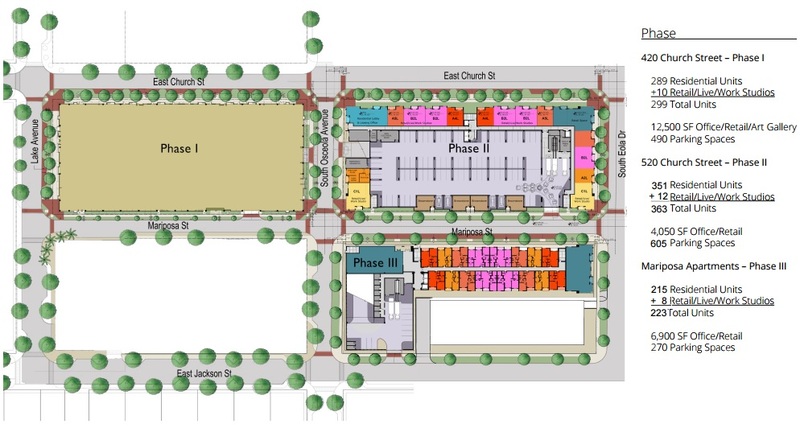 The 520 Church Street project calls for 251 residential units, only 12 work/live/retail studios and 605 parking spaces in a garage. The Mariposa Apartments project calls for an additional 215 residential units, only 8 work/live/retail studios and 270 parking spaces. 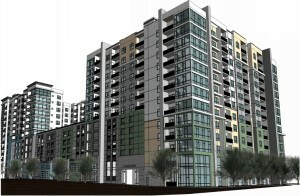 Developer rendering of 520 Church Street project, “Phase III” (Mariposa Apartments). 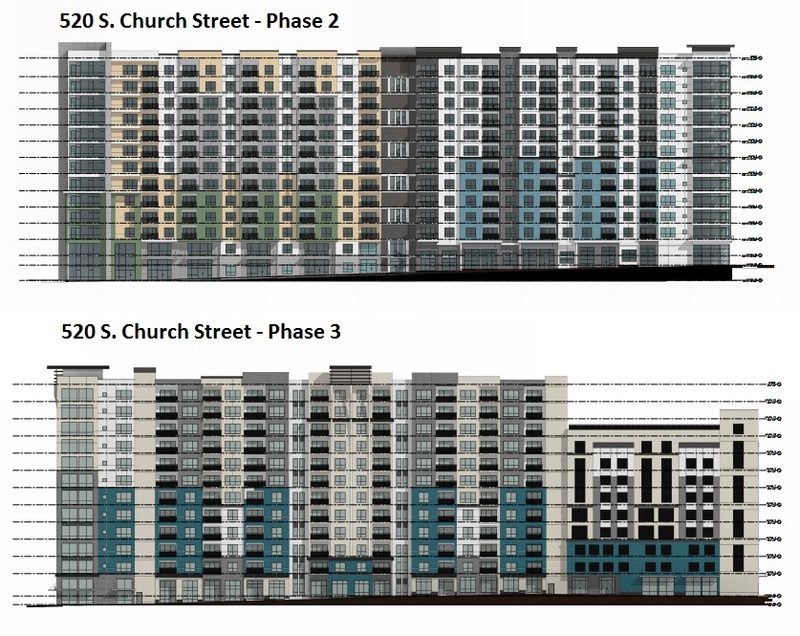 Developer renderings of 520 Church Street project, Phase II and Phase III. One Response to "More Mixed-Use Buildings Planned for South Eola"
Having effectively ended the “American dream,” of home ownership with the Banking debacles of the early oughts (2001-2008), the Financial Class and their neo liberal government flaks now bring us the rentier society where we all pay super inflated rents for the privilege of having a roof over our heads. Having lived in Houston during the early eighties, when the oil bubble caused a related building bubble, I will be awaiting the bursting of the Orlando rental bubble, when it becomes clear as day that the greater Orlando area has overbuilt and we have the privilege of watching these now shiny new developments turn to ghost towns complete with see through buildings and chain link fence barricades See through because the apartments will be empty, few being able to pay the hyper inflated rents.